I think Sunday’s game against the Bears is really going to have an effect on people. Packers fans have spent the last two weeks doing a lot of hand wringing. The last performance against New Orleans was not positive. The Packers hung in the game and possessed the ball in the red zone in a tie game when QB Aaron Rodgers pulled up lame with a hamstring injury. As much as people would like to blame that game on the defense, and they deserve a lot of criticism, that contest was always going to be a shootout. When TJ Lang went down running the football became less of an option. When Rodgers became immobile the offense lost it’s teeth. The anti-Capers crew can get as mad as it wants. The fact is that until Rodgers got hurt the Packers were in a score-for-score shootout, and they were setting the pace. Enter the Bears. 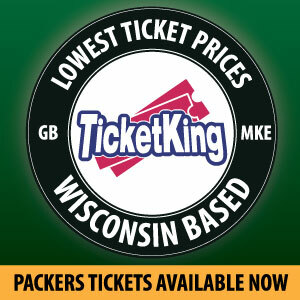 The Packers most storied rival comes to town in need of a season saver. They are 3-5 and reeling. The offense isn’t everything everyone promised it would be, and the defense is abysmal. Big free agent signing Lamarr Houston knocked himself out for the year during a sack celebration and former Viking Jared Allen has been awful. According to Pro Football Focus, of the 53 4-3 defensive ends that have played at least 25% of their team’s snaps, Allen ranks 38th, checking in just 33rd rushing the passer. That’s not ideal for a player that just got $15.5 million guaranteed to come in and fix a team’s pass rush. The Packers opened as 8 point favorites at home. They are a better team than the Bears both offensively and defensively. If they are able to secure a comfortable win, it will go a long way towards calming the restless natives. A win would put the Packers at 6-3. It would be a very good looking 6-3 with the next 4 games being at home, at TCF Bank stadium outdoors in Minneapolis with 40% of the fans wearing green and gold, and back at home for two more. I wrote about how well the schedule lines up for the Packers last week. I don’t think anyone cared because they were still complaining about the run defense. If Green Bay can take care of business on Sunday, you’ll see a lot of the same level headed optimism. 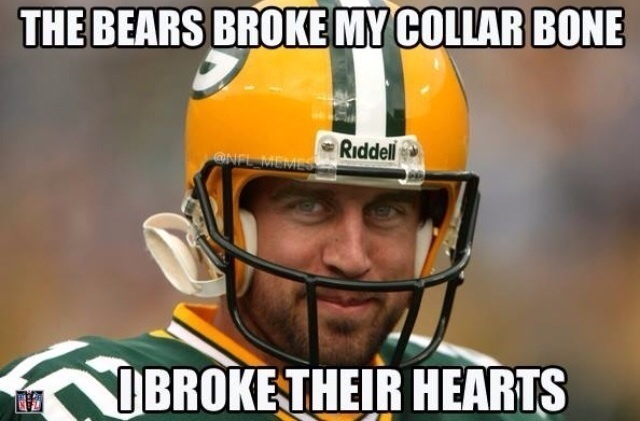 Why the Packers Will Win- they’re better than the Bears. They almost never lose to Chicago when Aaron Rodgers plays (and finishes) and they do it even more rarely at home. Green Bay has blown out Chicago once already this season. Also, the Packers are very healthy right now, especially on defense. They are going to have every single week 1 starter on the defensive side of the football. Only starting guards TJ Lang and Josh Sitton seem to be in any danger of missing this game. If you listen to Lang, he doesn’t bet against either of them suiting up. It would be absolutely mind blowing to see a Packers team start all 22 of it’s preferred men in week 10 of an NFL season. Offensively the Packers don’t have a bad matchup on the board. Without Lamarr Houston and Charles Tillman, and with Lance Briggs both washed up and beat up rookie Kyle Fuller is probably the Bear’s best defensive player and now HE’s beat up. Green Bay did not run the ball well during the last game against Chicago. You might see that change here. Houston was Chicago’s best run defender. Jared Allen is now forced to play every down for Chicago and he’s never been very good against the run. The Bears’ linebackers are atrocious and so is their secondary. If either Lang or Sitton (or both) are able to play I would be very surprised if the Packers didn’t approach 40 points. On defense the Packers are healthy. Whether or not that means anything will largely fall upon the ability of the offense to score points. If Chicago is able to run the ball, they will more than likely do so effectively. Neither this season nor historically have the Packers been able to shut down Matt Forte. If Green Bay can work the Bears defense the way that I think they can it will create a problem for Chicago’s offense. If Green Bay gets ahead and limits Matt Forte, all of a sudden the Packers are rushing the passer and stepping in front of wild Jay Cutler throws. Why the Bears Will Win- I really don’t think they will. There’s certainly a case that could be made. Jay Ratliff is currently Chicago’s best defensive lineman. If TJ Lang and Josh Sitton both have to sit it’s possible that he and Stehpen Paea could dominate. Lane Taylor is fine in pass pro but he hasn’t shown he can run block. We have no idea what JC Tretter can do, especially at guard. If Green Bay struggles on the offensive line it’s possible that the Bears could hold the Packers in the 20s, giving their offense a chance. Offensively it’s certainly possible that the Bears run all over the Packers. It has happened before. Tramon Williams needs to look better than he did against New Orleans or he could get destroyed by Brandon Marshall. There are a few scenarios in which Chicago wins this game, but none of them are very likely. Fantasy Packer to Start- Eddie Lacy- you’re more than likely starting him anyway after his big game against New Orleans. Eddie did not have a good fantasy game in the early season contest against Chicago. He has not been a consistent source of fantasy points this season. But really, who has? For various reasons, LeSean McCoy, Adrian Peterson, Jamaal Charles, Eddie Lacy and Gio Bernard all rank 10th or worse in fantasy points for RBs. Lacy got stronger as last season went on and hopefully in this second half he won’t have to carry the offense because 12 will keep playing. Fantasy Packer to Sit- there isn’t one. You can use the Green Bay defense if you want to. Chicago is almost a guarantee to turn the ball over at least once (thanks Jay). You can use Adams if you want to. After his 7 catch performacne in New Orleans I believe his role with this team is clear. He’s probably not going to dominate, but if 6 catches for 80 yards and a 25% chance at a TD sounds appealing to you knock yourself out.